Hi, I'm Dani DeLuna, a Cocktail enthusiast, imbiber, and Spirits Industry writer who pens a drinks blog called Home Bar Girl. I Made Mulled White Wine with the Cooking Gift Set... 1 Vote Up! The Cranberry infused Dolin Rouge is Back! 2 Votes Up! Easy Peasy Drinks to Make for Your Holiday Parties 0 Votes Up! HBG’s Spiced Daiquiri 1 Vote Up! #RumForTheHills: HBG Rum Blend 1 1 Vote Up! Wine Syrup and CC’s Punch 0 Votes Up! Stirred Drinks with Rhum Agricole: Guadeloupe Mart... 2 Votes Up! 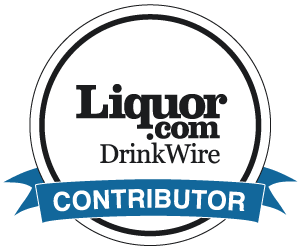 Stirred Drinks with Rhum Agricole: L’Acajou 0 Votes Up! Punch for Two with infused spirits from Ethan + As... 10 Votes Up! The Queen’s Blush 2 Votes Up! Putting Raspberry Syrup to Work: Double ‘R’ Punch 6 Votes Up! Raspberry Simple Syrup 2 Votes Up! Tequila & Tiki: the Jalajaja Swizzle 1 Vote Up! Shannon’s Fog Cutter 1 Vote Up! Cocktail Crate Mixers are Perfect for any Soirée 1 Vote Up! Crying over the end of Summer with a Blackberry Bu... 1 Vote Up! An Illustrated Guide to All Things Rum 0 Votes Up! #NationalTequilaDay + Grass Hat Cocktail 2 Votes Up! Sandia Picante 1 Vote Up! L’Orgeat Mai Tai 6 Votes Up! DP Swizzle 1 Vote Up! Genever & the Flemish Martinez 1 Vote Up! Barb’s Rhubarb Daiquiri 2 Votes Up! The Earl of Harlem Cocktail: Glenmorangie + Marcus... 6 Votes Up! MonteNegroni No. 2 1 Vote Up! Melissa Negroni 4 Votes Up! #NegroniWeek 2016 0 Votes Up! Ardbeg Night 2016 + Dark Cove Release 0 Votes Up! A Toast to Mom with Plenty of Gin 1 Vote Up!